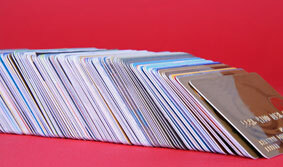 A plastic card bureau’s business is creating plastic cards to their customers’ specification. Many of these cards are ID cards and passes and membership cards requiring an Optical Security Device. Security Foiling's Identity-SECURE solution enables a plastic card bureau to apply the Optical Security Device in the security of their own premises.